Warner Bros. has release a teaser trailer with two voice over versions for Zack Snyder’s Man of Steel. One trailer contains “Pa Kent” played by Kevin Costner. The other features “Jor-EL” played by Russell Crowe. These are the teaser trailers people have seen before The Dark Knight Rises. Check them out below. The trailer shows a dark (even in exposure) side of the film. From what I understand, the footage shown at Comic-Con 2012 had a lot more elements in it and had the crowd in ear piercing screams and cheers. 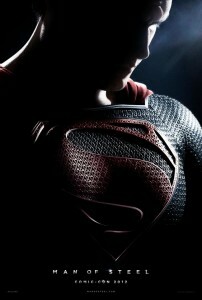 The teaser still builds some excitement and gives you an idea of what Snyder is trying to show in the film. With a story/script by David S. Goyer and Christopher Nolan, I think it is safe to say we will get a something completely differnt and drastic from the 80’s Superman films or Superman Returns. Stars: Henry Cavill, Russell Crowe, Kevin Costner, Amy Adams, Diane Lane, and Michael Shannon. Which voiceover did you prefer? Are you excited to see Man of Steel?